Today is Boogie’s Gotcha Day aka the day we adopted him. Well, sort of. Today is actually the day when I went in to work on my day off, back when I worked at the shelter, and said, “It’s my birthday, so my husband told me I could bring home any dog I wanted. And I pick Stoli.” And then I loaded this worried little pit bull into my car and took him home to “foster” for a while. That was four years ago. 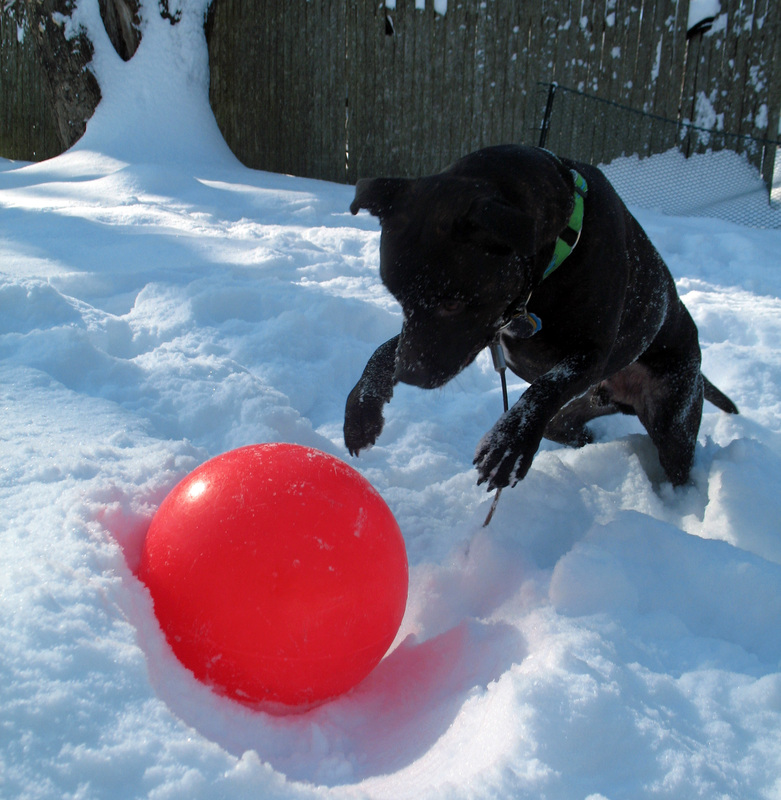 Here he is on his first day at home with what I would soon discover is the thing that makes him feel most safe in the world: a ball. Back then, Boogie was really afraid of everything: cell phones, cameras, coffee cups, people dancing, the cats, strangers, other dogs…you get the drill. Despite all that, he was (still is) the sweetest, most handsome little man in the world. And even though he turned out to be a DINOS , Boogie is such an easy dog in all the ways that matter most to us. He didn’t need to be potty trained. He’s gentle with our older dog Birdie. He’s not destructive and doesn’t mind being left home alone. He sweet on our three cats. He’s a couch potato, so he doesn’t need a lot of exercise (even as a youngster). And he’s happy to hang out on his bed, chewing a bone and entertaining himself all evening. All he asks is that we play ball with him for a little while every day. I know a good deal when I see one, so we stopped “fostering” him and adopted Boogie that fall. Our little gang has been complete ever since. Here’s the thing. One of the reasons we’re all so happy is because Boogie’s world is purposely small. To be honest, I don’t do a lot of training with Boogie anymore, though there is stuff we’re working on. I’m kind of a slacker and I don’t really enjoy training dogs (I’ll do it, I’d just rather be doing something else). For example, we’re not constantly working on his leash reactivity, like we used to when we lived in a city together. The first couple of years, we got all of our exercise by walking on leash, so leash skills were a priority. But this summer we bought Boogie a two acre yard, so he can chase balls until the sun sets. We live in the middle of nowhere now. Walks are for pleasure and we can choose when and where we want to go. They’re no longer a part of our daily exercise (that’s where a flirt pole comes in). So I’ve slacked on his leash skills. Yep, that means I’m a dog walker that doesn’t walk my dog every day. I have no doubt that if I put in more effort, he would be less leash reactive, but on a day-to-day basis, everything is working for our family. I think that’s important for all us: find out what works for you and your dog, so that everyone is enjoying life and each other’s company. Then don’t feel bad about it if it’s not exactly the same as what the next person is doing. Is your dog safe and happy? Is everyone around your dog safe and happy? Then you’re doing something right. Plus, happy people tend to keep their dogs. Do what you need to do to set your dog up to succeed at his own pace and try not to make yourself miserable either. 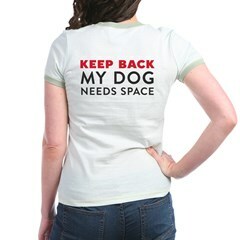 That might look different depending on your individual dog or the environment you live in. For Boogie, that means he hangs out at home some days, while we take Birdie on more public adventures. 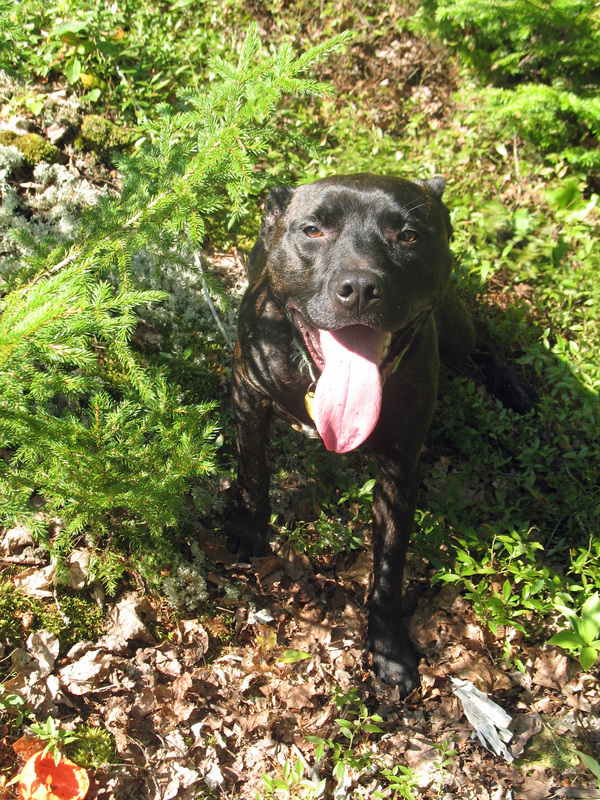 For other dogs, it might mean lots of training classes and regular walks with a social club. Figure out what works for you and your dog. I don’t have anything to brag about – no titles or certifications. 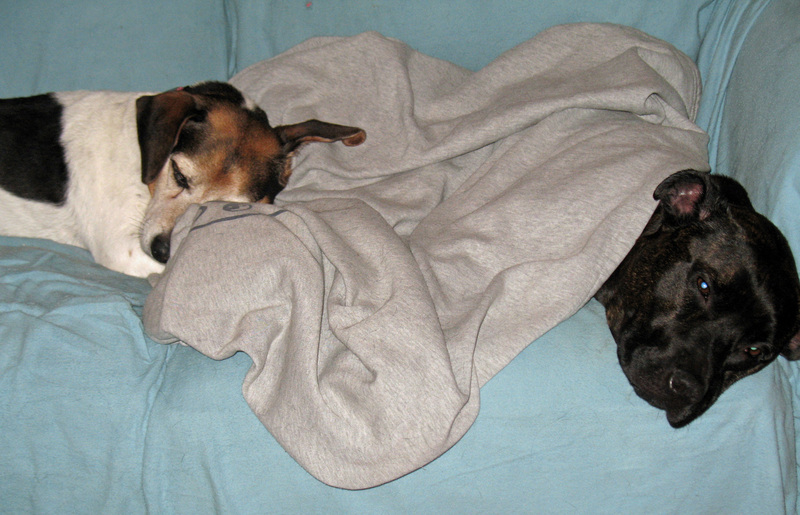 Except that we’re all really happy together and Boogie isn’t stressed out. It’s a simple life for our little man and it works for all of us. And that feels like a success to me. But just in case you think we lock Boogie in a closet all day: even though we keep things simple at home, it doesn’t mean we don’t have fun together or try new things! We just got back from our summer vacation in the woods. Last summer we taught Boogie how to swim. 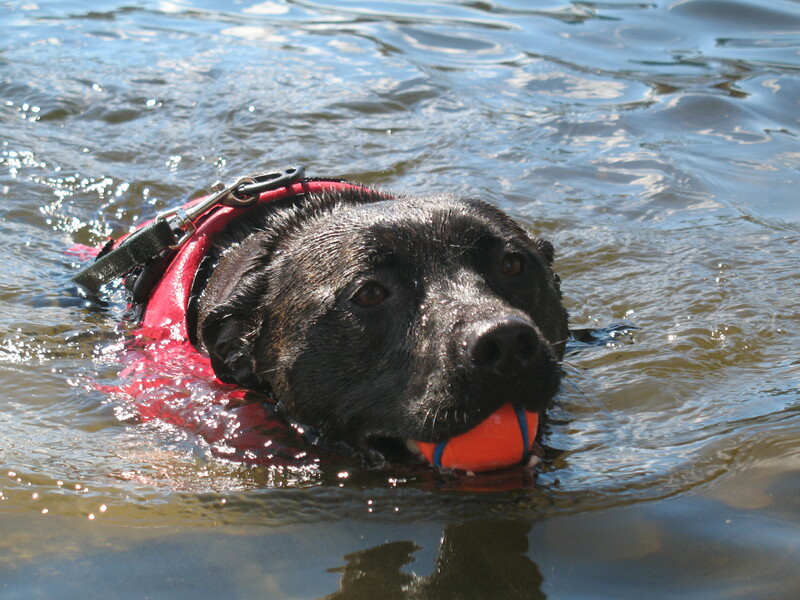 He was very scared of the water, but he went in because we were there to cheer him on and…his ball was in the water. No ball will ever be left behind on Boogie’s watch! This year, he got really brave and learned to jump off a dock. He was so scared and made such crazy crying noises as he watched his ball float away (it sounded like he had a rubber chicken stuck in his throat), that I thought the entire town was going to call animal control to help him. 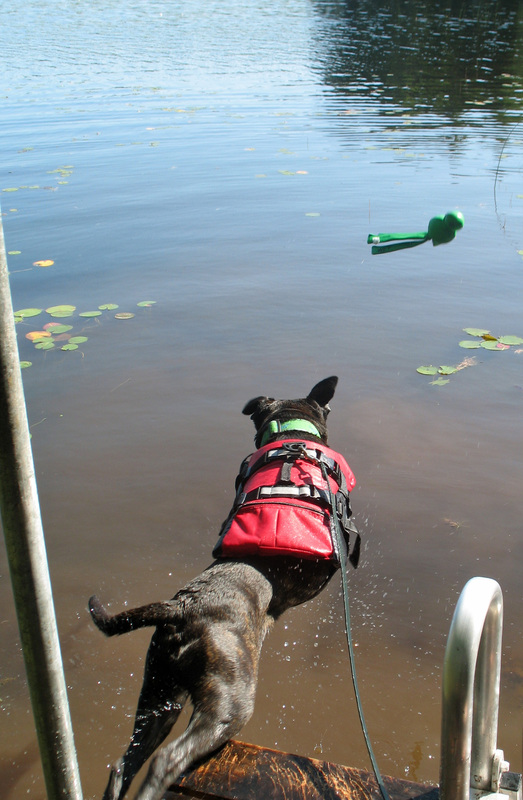 Finally, he put his front paws on the top rung of the dock’s ladder and plopped into the lake like a little hippo bull. Next thing we knew, he was running and JUMPING off the dock, faster than we could even throw the ball. Not every day is a dock diving day for us, but we make small steps, at our own pace, each week in the right direction. These days coffee cups, cameras, and overnight guests don’t scare Boogie. He’s almost five years old now and he’s a good boy. He makes me so happy. Happy Gotcha Day Boogie. You’ll always be my very best birthday present. ← The Inventor of Spray Cheese is My Hero. Happy Gotcha Day! What an honor to be adopted by so super a dog! There’s no feeling like being the one that a wonderful dog chooses. Happy Gotcha Day, Boogie! Brewie and Bertie SueBell send you lots of snuzzles and tummy scritches! Awwww. ^_^ He’s a lucky little guy! I sort of do a flit pole thing, there’s these little squeaky beavers at Petsmart whose bottoms open up with velcro so you can change out tooth-punctured dead squeakers (a hazard for sure!). I took a thick string and cut it long, stuck one end of the string inside and also attached to the velcro, and viola! Instant Dog Cat Toy. Hilarious. They go insane (I also have a half-Boston terrier we think is part rat terrier). Cheap and easy. I suppose I could easily attach it to a stick to get more length in my tossing, what a great idea! What a great story! I’m so happy Boogie gets to chase his ball in a big yard. What a nice life he has beucase of you, and you becuase of him! Happy Gotcha Day to Boogie! The best things in life we get are the one’s we didn’t realize we always needed until they appeared. Glad you both got who you needed! “Except that we’re all really happy together and Boogie isn’t stressed out. ” – That sounds like something worth bragging about to me! Love the photos of Boogie in the water. He just looks so happy! I dream of the day my dog will leap in with such abandon, as opposed to her usual slow, hesitated creeping. So many times we just keep on keepin on doin’ what we’re doin’ to save the animals – that we forget to share the wonderful parts of our stories. I LOVED reading this. Thank you for posting. It made me look at my pack of four family members – rescues of course – and think about their history – and what they have taught me/us – and just how much they mean to me and my path in life. MANY thinks for a great true story! Wonderful life! That’s what matters most of all! Boogie sounds like he is in the perfect home! Lucky him! I did have one quick comment to make based on something you kind of wizzed by. You said that when you first got Boogie that you lived in an urban environment, and that you had to pay attention to more training since that is how you walked him and got exercise, compared to now, which is on the two acre property. In 2009 I wrote and self-published a book called, “Renting with Rex: How You, Your Dog, Your Landlord and Your Neighbors Can All Thrive in Rental Housing,” and in that book I discuss exactly what you mentioned. I said that urban dogs, compared to their suburban or rural cousins, actually get more attention to their training and socialization because people have to take their dogs out due to a lack of sufficient exercise space in a yard. 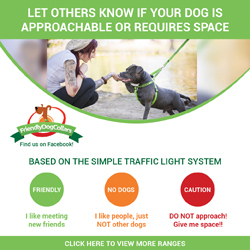 I said that many times, even though it is more work on their people, it actually benefits the dog overall because of the time spent on the street encountering all the regular things in an urban environment: strangers, loud noises, children, cars, other dogs, etc. I live in an urban environment, in the San Francisco Bay Area, and I was born and raised in San Francisco, so all of my dogs, no matter where they originally came from, get the “benefit” of on-going socialization, and I have seen a major difference in their acceptance of all the usual strange occurrences. One woman actually was over joyed when she said, “I am so glad your dogs are very friendly,” after her child broke from her hand to race over to my dogs to pet them. Believe, so was I! I know that city living, oftentimes, gets a bad rap when it comes to living with dogs, and so many people believe that, “dogs need room to run and play,” and that, “it is cruel to keep a dog in a city.” My dogs DO get the benefit of running and playing at dog parks, going for long walks in the neighborhood, and at all the dog shows I take them to including racing, lure coursing, Rally, Obedience, weight pull, etc. And, they do have a very small yard to lay down and relax in the sun, until the next long walk or the next dog show. Finally, I am one of those people who would prefer to be dog training and showing, rather than anything else! I am a terrible cook, I hate shopping and I don’t dust. I do have a robotic vacuum that runs on a regular basis. Aw, so sweet! I could have written the article about Ruby. Her world is smaller too, but we are both happy. She is doing what she enjoys most right now, sunbathing! She is from Arizona and loves to lay in the sun all day while I read next to her. As always, a great post, Jessica. I get so frustrated with Titan’s dog reactivity (I think it keeps getting worse, rather than better) and how anxious our walks make ME, I forget to enjoy what a great dog he is. 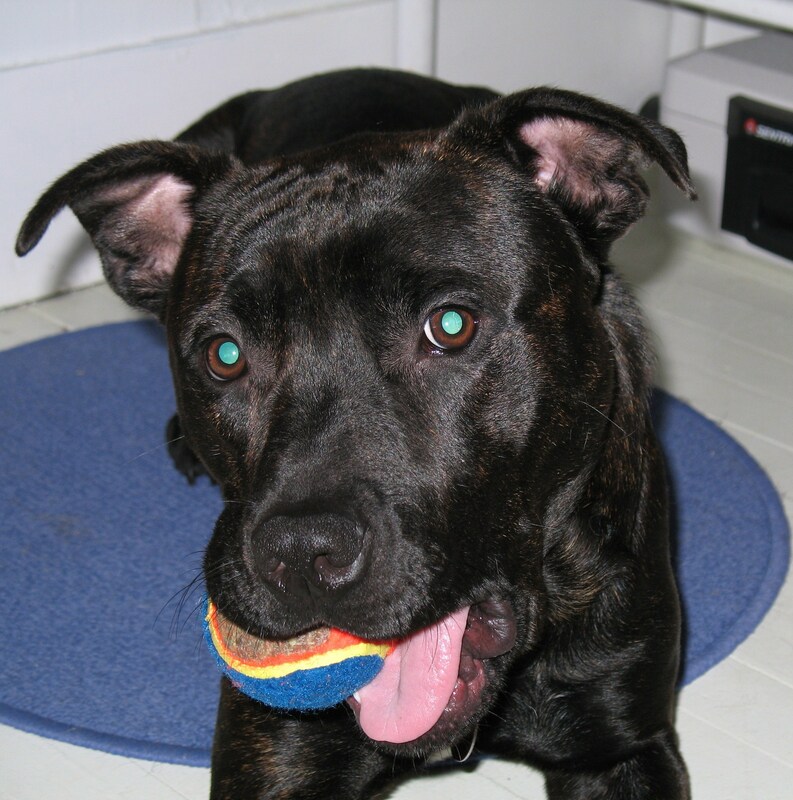 He has a good sized yard to play in, loves to chase his Kong (not much for balls), is well fed and very well loved. He doesn’t chew things, potty in the house, or suffer from separation anxiety. He loves everyone. Thanks for reminding me to enjoy him for what he is, while I continue to work on what he isn’t. What a W O N D E R F U L story!!! I love your style and wit in your writing,and of course your compassion and passion for animals,especially rescue.About 2 years ago I started fostering for a local rescue at the tender age of 63 ! My eyes have been so opened to the world of rescue and the thoughtless and horrible things people do with/to animals.On Sept.3 we lost our beloved Coco in a tragic turn of events,but I will keep on fostering with a new passion…in honour of the bestest dog ever(IMO) ! Happy Gotcha Day Boogie ! 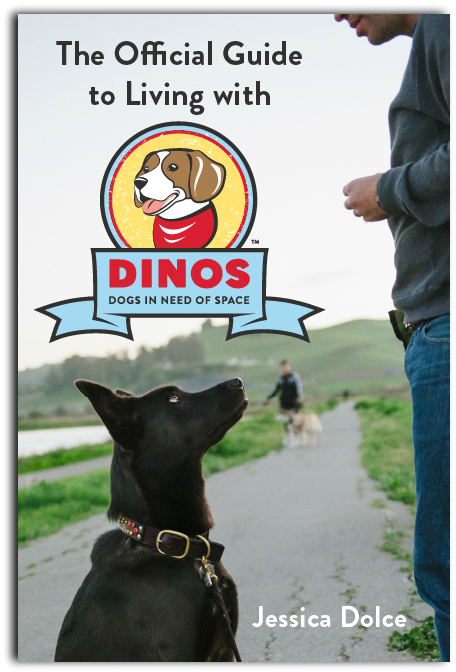 Finding out about the DINOS movement in general and your story in particular has really made me feel better as a dog owner. Abbey’s 8th Gotcha Anniversary is coming up and I’ve always felt bad that health problems have kept me from putting in the work that would help her get more comfortable with strangers and other dogs. (Though the vet is very impressed by the progress I’ve made with her over the years–I’m very proud of that!) So her world is very small, in part because mine is, too. But we have such a great time together and she certainly makes the smallness of my world bearable. I’ve felt guilty sometimes that I can’t give her more (and the world doesn’t get to know her), so it’s good for me to hear that it’s okay not to have fully “fixed” your dog, that’s okay for a dog to be a DINOS and her need of space is not a reflection of irresponsible ownership on my part. Thank you all for the kind words. Your dogs are so lucky to be with you. Being a dog that’s safe and loved is pretty awesome. Cheers to enjoying life’s simple joys with them! Boogie sounds wonderful. Our Pocky, a 2 year old pit mix, is a DINO and the happiest dog alive. a few months ago, we re-imagine what it is like to own a dog in a city, bought a house with a yard and now he sits on the back deck watching the clouds and the birds go by, perfectly content. He fills our hearts with a ton of love and for that, we will do anything to keep him that happy!